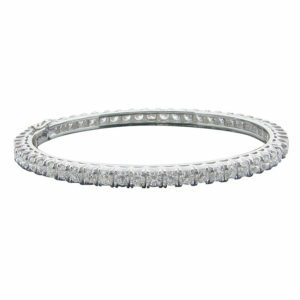 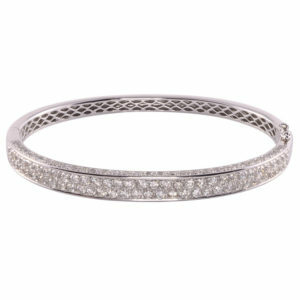 Estate 7.10 CTW diamond tennis bracelet. This 14 karat white gold tennis bracelet features 34 round brilliant diamonds at 7.10 carat total weight having SI2-I1 clarity and F-G color. 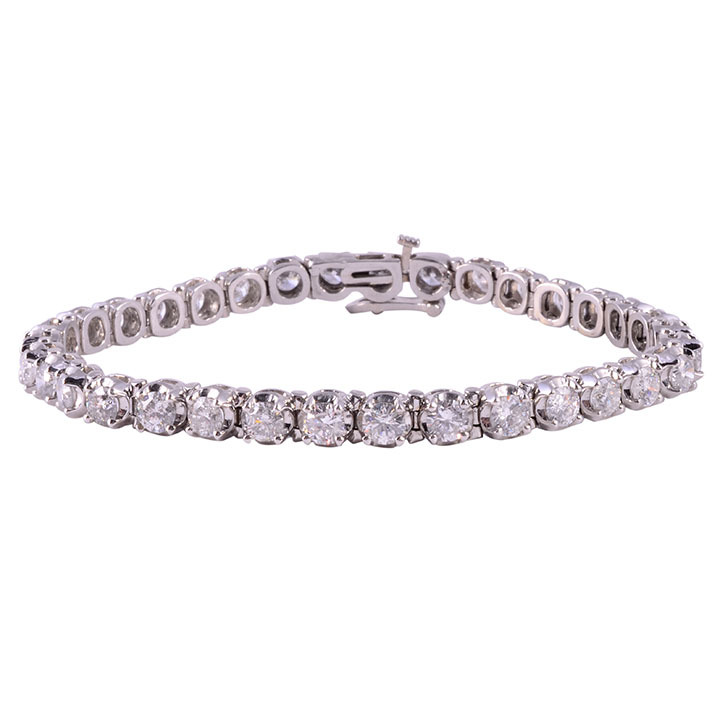 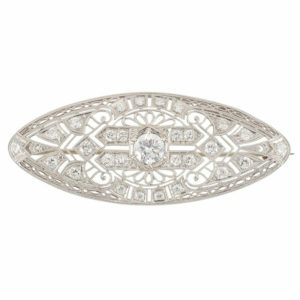 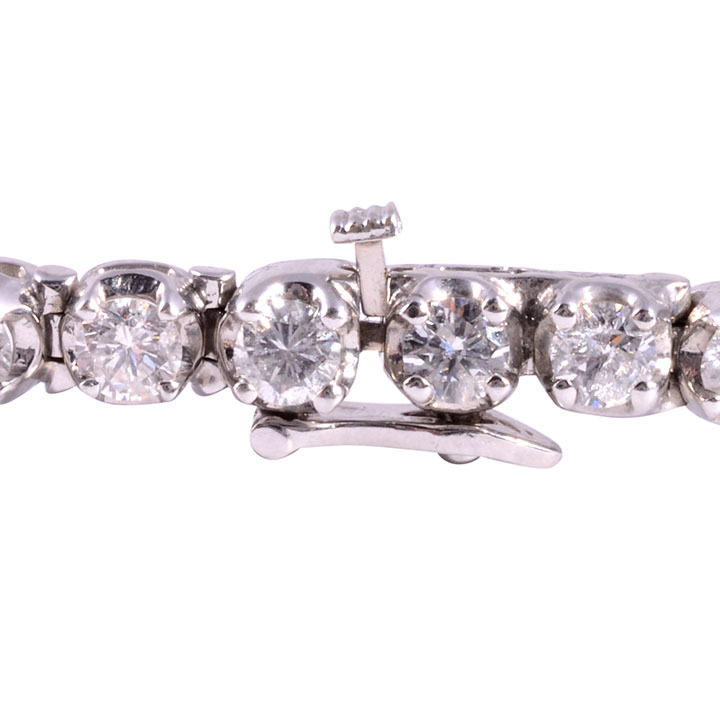 This diamond bracelet is appraised at $16,480. 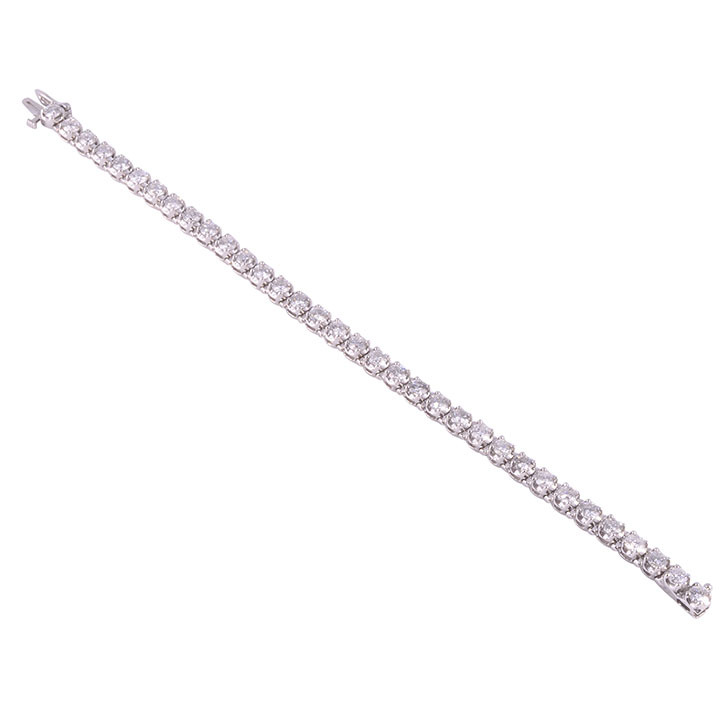 7.5″ long.